Many women who are natural often switch from getting protective styles such as braids and sew ins to getting a silk press. Sometimes they like the freedom of not having to do anything to their hair, which I completely understand because I LOVE not having to do anything to my hair! Other times they want to see exactly how long it is. I totally can relate to this even though I myself am not natural. We women like options! One question that I get asked quite frequently is can I get a silk press right after taking down braids. Yes you absolutely can get a silk press right after taking your hair down from braids. It will not harm your hair or cause any damage to it. 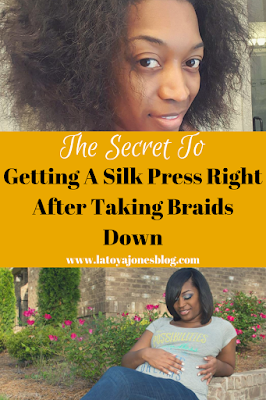 The secret to getting a silk press safely right after taking braids down is simple and can be done in two steps. 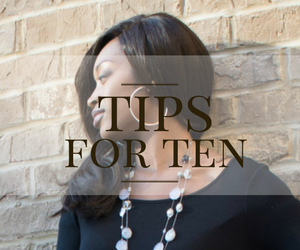 First you must be gentle with the hair and detangle it completely (see here on how to detangle correctly). Next you must use some great hair products (like these) to effectively cleanse and moisturize your hair. This is the client's hair right after she took her braids down. 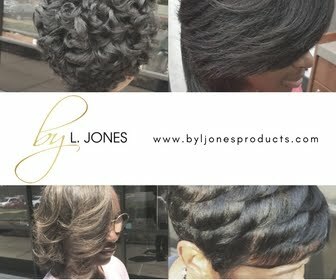 She is transitioning from relaxed hair to natural hair and only has about 3-4 inches of new growth left on her ends. She is only twelve years old and this was her first appointment with me. Her mother told me that she has been searching for someone who could take care of her daughter's hair. What makes my silk presses different from others is the fact that I do no flat iron the same piece of hair over and over again. I only go through the hair with my flat iron one time. 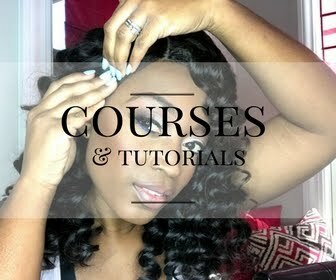 My whole silk press system is a technique designed to not damage the hair or alter the natural curl pattern (see how you can do this on your own hair here). Using the right hair products (like these) and the right flat iron (like this one) is very critical in not causing any damage to the hair and the curl pattern. When I first started doing silk presses (see what a silk press is here) I thought that you had to flat iron the hair practically to death (several passes) for it to become silky straight. In actuality, all I was doing as destroying the client's curl pattern which is why many women notice their hair never curls back again after they have gotten a silk press or dominican blow out. Heat can be your friend (see how to avoid heat damage here), but it can also be your enemy. The secret is to learn how to use it correctly. 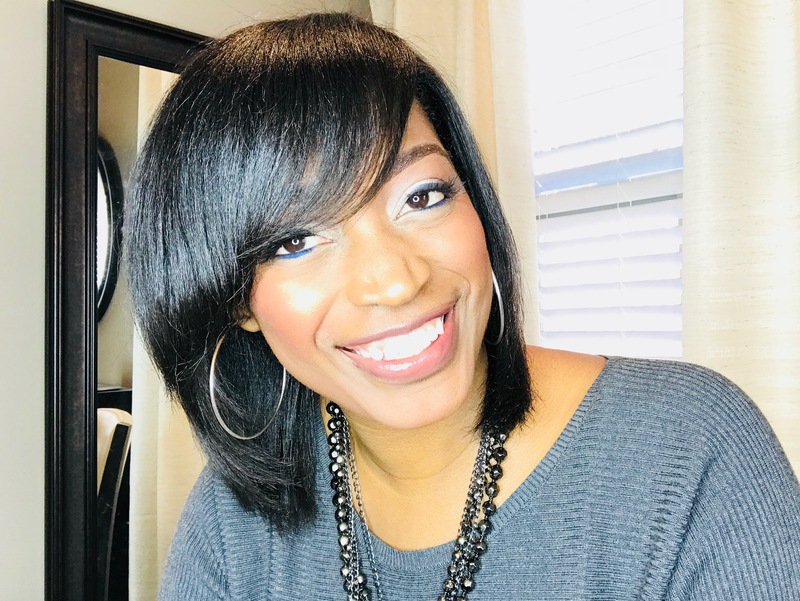 Now, my clients can be assured that as soon as they shampoo their hair again, their original curl pattern will be restored (see why you can't heat train your hair here). Extreme Clean Shampoo- This shampoo removes all of the dirt, oil, and product residue off of the hair. It lets you start with a clean slate. Extreme Moisture Shampoo- This shampoo adds the good moisture back in the hair. It includes liquid silk which aids in softening the hair. All of the shampoos are sulfate and paraben free. Replenishing Conditioner- This aids in softening the hair even more and also helps detangle the hair as well as moisturize the hair. Leave In Conditioner- This adds moisture, detangles, and acts as a heat protectant. Miracle Potion no9- This adds shine, controls frizz, and leaves your hair smelling amazing. The only thing she needs to do to maintain this would be to wrap it every single night (see how to wrap your hair here) with a satin scarf. It will last approximately 1-2 weeks or until she gets it wet again as long as you do not do any of these three things (click here). 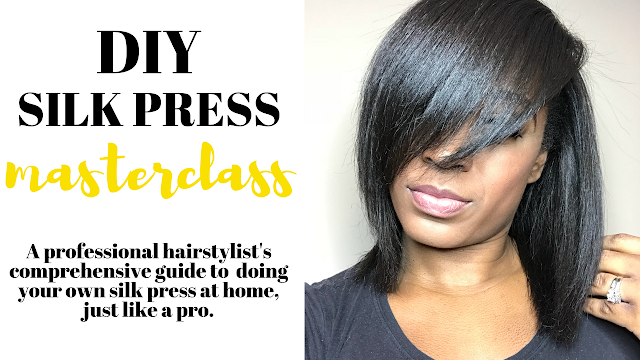 If you would like to learn how to do your own silk press like a professional, check out my class (click here) and learn all of my tips and tricks. Can I get a silk press right after taking braids down? Would you like a FREE downloadable pdf guide on how to avoid damage to your silk press? I will send it straight to your inbox when you click here.